Avnet Cloud Solutions’ ecosystems of cloud suppliers and trusted partners puts us in a unique position to help move your business to the Cloud. Helping partners and customers transform IT with data center automation and cloud solutions that embrace new consumption models and enable services delivery. Cambridge Semantics Inc., The Smart Data Company®, is an enterprise analytics and data management software company. Our software, the Anzo Smart Data Platform®, allows IT departments and their business users to semantically link, analyze and manage diverse data whether internal or external, structured or unstructured, with speed, at big data scale and at the fraction of the implementation costs of using traditional approaches. 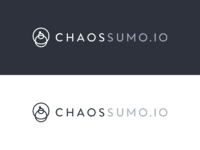 Chaos Sumo’s built-for-the-cloud data modeling engine provides a high-performance, scalable solution for fast analytics. An integrated design studio allows you to be quick and nimble in accessing and analyzing your primary and secondary structured or unstructured data sources. Automatically model data sources to easily aggregate and correlate into query-able result sets – all in Amazon S3.Chaos Sumo instantly finds and catalogs the entire contents of your S3 buckets. Discover and report on all of your data sources including CSV, LOG, JSON, Text, XML, Image, Video & More. CloudHealth, the recognized worldwide leader in the growing Cloud Service Management Industry, provides integrated reporting, recommendations and active policy management to help companies control the problems associated with “cloud chaos.” Our comprehensive platform gives enterprise companies and MSPs the ability to visualize, optimize and govern their cloud and hybrid environments. By providing analysis and deep insight into historical trends, capacity planning, resource optimization and resource automation, CloudHealth enables stakeholders ranging from C-level executives, to engineers, cloud specialists, architects, IT directors and LOB managers to improve performance and drive value through their cloud ecosystems. Cloudera delivers the modern platform for data management and analytics. We provide the world’s fastest, easiest, and most secure Apache Hadoop platform to help you solve your most challenging business problems with data. Ingram Micro helps businesses Realize the Promise of Technology™ by helping them maximize the value of the technology that they make, sell or use. With its vast global infrastructure and focus on cloud, mobility, supply chain services and technology solutions, Ingram Micro enables business partners to operate more efficiently and successfully in the markets they serve. Podium Data is empowering the agile enterprise by radically simplifying and improving how organizations manage, prepare and deliver critical information to the business. With decades of enterprise data management experience, Podium’s founders are focused on solving the ubiquitous challenges many Fortune 500 CIOs face. Data warehouses aren’t able to keep up with what businesses need most: fast access to quality data they can trust. Emerging big data technologies like Hadoop hold the potential to solve these problems and significantly reduce cost. However, an enterprise-ready solution requires security, governance and self-service access by business analysts — all of which Hadoop lacks. 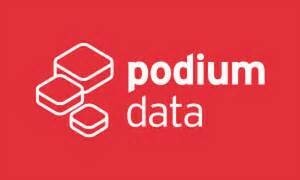 The Podium Data team has developed the industry’s first enterprise data lake software platform—Podium—that accelerates time-to-answer from months to minutes, consolidates data and processing onto a single platform, and ensures data protection and quality. Podium enables traditional businesses to attain the power and economics of Hadoop and rapidly deliver validated, trusted, business-ready data securely to the enterprise with our pre-integrated software platform. Proofpoint, positioned by Gartner in the Leaders Quadrant in their 2015 Magic Quadrant for Secure Email Gateways, and 2015 Magic Quadrant for Enterprise Information Archiving, delivers an integrated suite of on-demand data protection solutions spanning threat management, regulatory compliance, data governance and secure communications—all of which are based on a common security-as-a-service platform. We are a team of data professionals changing how people use data. Our mission: to safely store, transform and analyze business data, making it easy for everyone to quickly gain insight. Founded with a vision to reinvent the data warehouse for big data, we built a completely new SQL data warehouse designed for the cloud and for today’s needs. JetSweep and SynchroNet partner together to design and develop AWS Workspace Deployment Options for our clients. Amazon WorkSpaces is a fully managed, secure Desktop-as-a-Service (DaaS) solution which runs on AWS. With Amazon WorkSpaces, you can easily provision virtual, cloud-based Microsoft Windows desktops for your users, providing them access to the documents, applications, and resources they need, anywhere, anytime, from any supported device. We help people see and understand their data. Eight words that drive everything we do. And they’ve never been more important. In 2020 the world will generate 50 times the amount of data as in 2011. And 75 times the number of information sources (IDC, 2011). Within these data are huge opportunities for human advancement. But to turn opportunities into reality, people need the power of data at their fingertips. Tableau is building software to deliver exactly that. TierPoint, LLC, is a leading national provider of information technology and data center services, including colocation, cloud computing and managed IT services, with company headquarters in St. Louis, MO. TierPoint was formed in 2010 through the strategic combination of some of the country’s most respected and innovative data centers and IT solution providers whose origins date back as early as 1995. Trifacta started with three. But now we’re many. Trifacta originally was born out of joint research between UC Berkeley & Stanford but has grown to include a wide range of talented individuals focused on creating radical productivity for people who analyze data. At Trifacta, we know that the key to winning with Big Data lies with people. That’s why our innovations focus on the user experience—to provide radical productivity gains for data professionals, and enable business analysts to work directly with Big Data. The result: faster, better decisions across the organization. Our technical vision focuses on connecting human intuition with computational power. Analysts get clear visibility and light touchpoints on massive data; algorithms extract signals and patterns from data and user behavior; interfaces surface machine suggestions and visualizations for further human attention. For the user, the experience is simply an intuitive, agile new way of working with data. Turbonomic delivers Workload Automation for Hybrid Cloud environments by simultaneously optimizing performance, cost, and compliance in real-time. It provides all workloads the exact resources they need, at the right time, and always in accordance with policies.